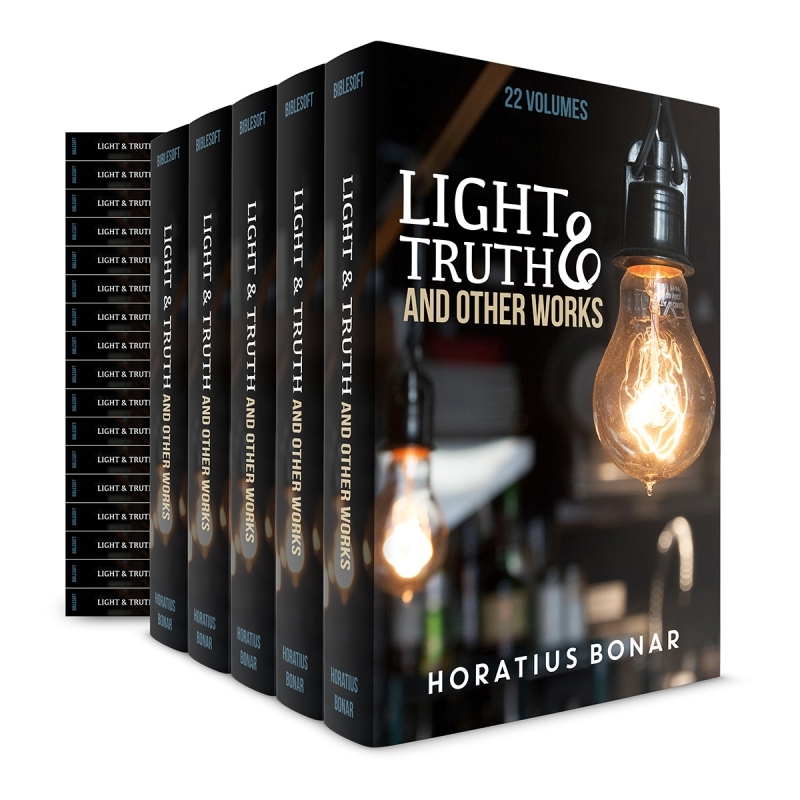 Bible Thoughts and Themes by Horatius Bonar plus additional titles. A 22 Volume collection. Horatius Bonar was born in Edinburgh, Scotland into a long line of ministers (one of eleven children). Educated at the University of Aberdeen, he and his siblings served a combined 364 years in the Church of Scotland! However, Horatius stood out amongst them all for not only the depth of his exposition, but also for the breadth of his work AND the fact that he was quite a prolific poet and hymnist (over 600 hymns), composing such well known pieces as "I heard the voice of Jesus say" and "Blessing and Honour and Glory and Power”, the former of which was incorporated into the 1959 tune, “So Soon in the Morning” recorded by folksinger Joan Baez on her very first album. 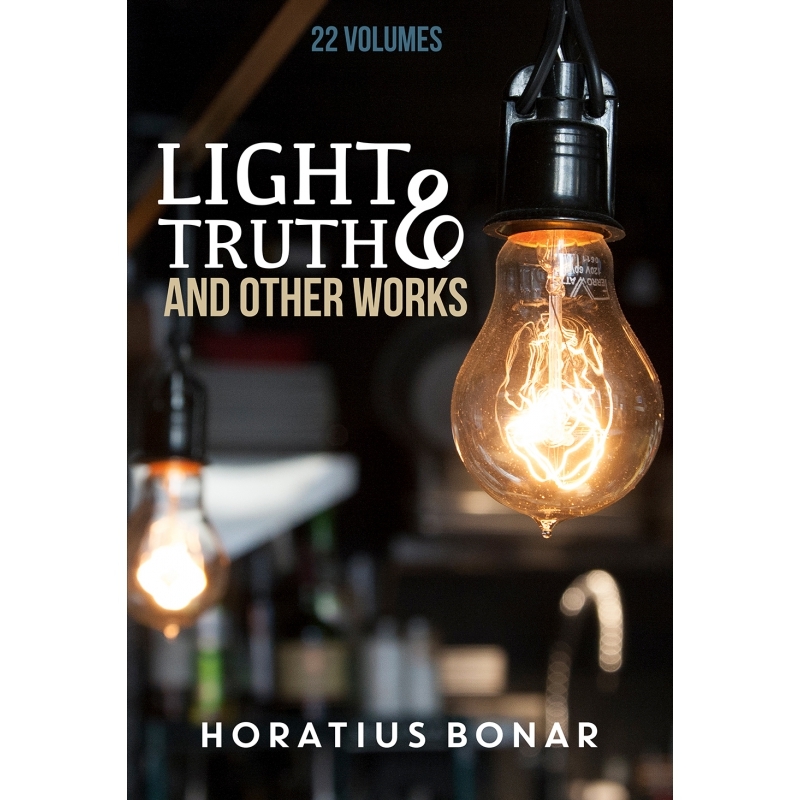 Bonar is also unique in that, while he could plunge the depths of deepest subjects, he possessed amazing facility in making the most complex topics and issues approachable and understandable for even the most unsophisticated of laymen, as illustrated by the series of tracts on the Christian life which he penned.